The president of the National Narcotic Officers’ Associations Coalition, Bob Bushman, says changes in attitudes and legislation involving the so-called war on drugs will imperil the nation. Talk about “sentencing for drug-related crimes has been completely turned on its head,” Bushman wrote to lawmakers recently. “At a minimum, they (those affected by federal drug sentencing) help to finance the gangs and cartels whose business model depends on creating and nurturing drug addiction, terrorizing our communities with violence and intimidating tactics, and actively discouraging cooperation with law enforcement while actively encouraging disrespect for the law. “Drug trafficking is a very volatile trade that relies upon violence as a tactic of intimidation to ensure cooperation, protection and success of the illegal business. Other law-enforcement lobbying groups have also opposed any federal drug sentencing reforms, saying they have been part of the crime reduction that has taken place over the last several decades. What a foolish article and a foolish set of opinions. Of course LE is going to oppose any sentencing reform and decriminalization efforts. There is a wholesale industry built upon drug prohibition; the prison industrial complex, law enforcement, etc. Federal policy incentivizes police departments with additional funding an equipment for drug arrest and drug interdiction. LE can hire additional people, purchase additional toys for their departments. Private prisons now exist because of the failed war on drugs and many states have to pay for empty beds in those prisons. Those in the private prison industry lobby for increased prison terms and offenses that require jail time. Three strikes and other laws did nothing except cost taxpayers and made the US the leader in jailing it’s citizens. Its obscene that the US has 25% of the worlds prison population. The only reason drug related violence exists is because the drugs are illegal. Dealers don’t pay taxes because currently there is no legitimacy to the business. Create a legitimate market, like they have done in Colorado, Oregon and tax revenues increase because people want to legally sell drugs. Drug related violence in those states have decreased as well. Take away the criminality, then you will see drug cartels diminish and the violence associated with it. We know this to be true and we failed to learn or forgot the lessons of alcohol prohibition, where violence was commonplace with alcohol running. Why would we ever think that the drug war would produce a different result? Because of the failed war on drugs, we have seen and explosion in the number of non-violent drug offenders placed in prison. It’s just not drug dealers, but casual users that have been railroaded by overzealous law enforcement and prosecutors. Very much like charging a prostitute with trafficking herself. It doesn’t make sense, because it’s all about getting a conviction. 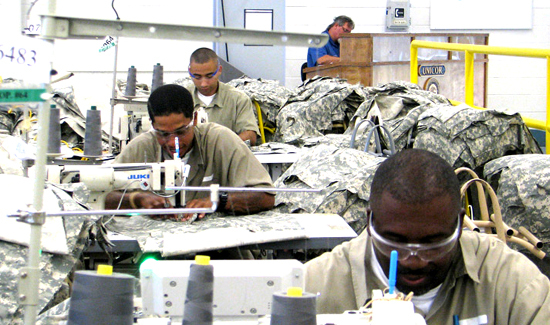 This creates a tax burden of the states and essentially prevents anyone from having a meaningful career after serving time in prison, in turn, creating more dependence on society or recidivism. It helps no one except those that enforce these idiotic laws.